Time to paperless. Reducing use of paper by recycling newspaper is my new hobby. 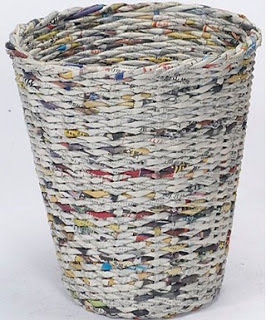 I collect old newspaper from my workplace and explore some ideas to start making some houseware craft and rounded basket is easiest made and it's useful for acessories or modified as stationary box or a vase. 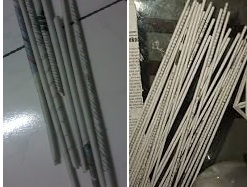 Create a newspaper into a small rolled with stick in it. Make 40 - 50 rolls, each roll sticks with the glue. 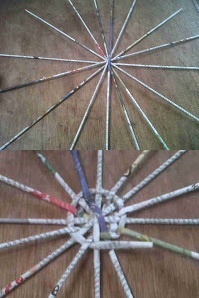 Weave as the picture, start from center of bottom side.